How are you? Good I hope. I recently had the very lovely pleasure to help Kathryn from The Smallest Tribe by pattern testing her new Girls' Explorer Skirt. How cute is this skirt? Very I say. The pattern was easy to sew and came together so quickly. 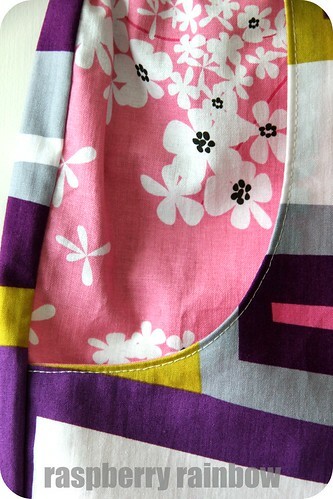 The pockets are lovely and big, perfect for little girls to fill with found objects and treasures. I believe the pattern will be released soon for purchase. I may have to add a few to my shop. What have you been making/baking/crafting? Happy Creative Space Day to you. 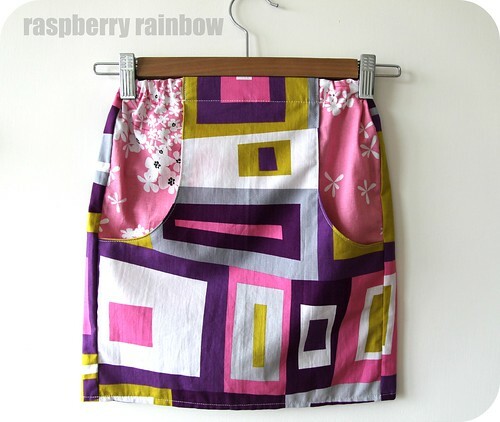 Hi Cat, the pocket shape makes the skirt really interesting and fun to hilight a different fabric too. This is such a cute skirt, you are right there. I love the material too. So bright and colourful, perfect for little girls. At the moment I'm making a dress for my daughter. I have not made a lot of clothes yet so I'm still very nervous and I'm taking my time. What a great look - especially the big pockets!! I love the skirt - and the fabric! I'd like one for me.